Note: Move your downloaded data to folder /Android/obb/com.linkjoy.gpgame.survivor. 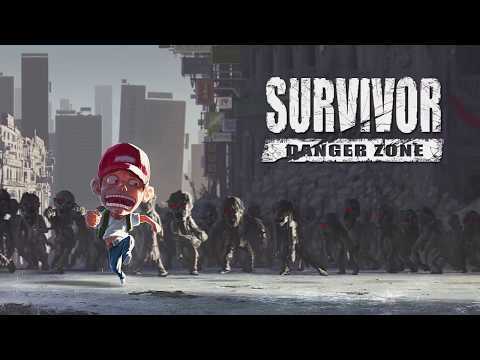 "Survivor:Danger zone" is a game which the player need survive in a ruined city after the zombie breaks. The game has a high degree of freedom. Players need to collect resources, build safe houses, and make props to defend against zombies in this world. This is a zombie game, including a rich weapon and prop system, a lot of distinctive zombie and survivors. You need to fight against zombies in the ruins of cities, collect all kinds of resources and materials, build your safe house, and produce various props and weapons. Maybe there&apos;s a chance... see more This is a zombie game, including a rich weapon and prop system, a lot of distinctive zombie and survivors. You need to fight against zombies in the ruins of cities, collect all kinds of resources and materials, build your safe house, and produce various props and weapons. Maybe there&apos;s a chance to get out of the city at the end. You just need to simply click on the screen to play the game. The later version will contain more zombies,weapons and props. Also we will add Online system. Please look forward to it!